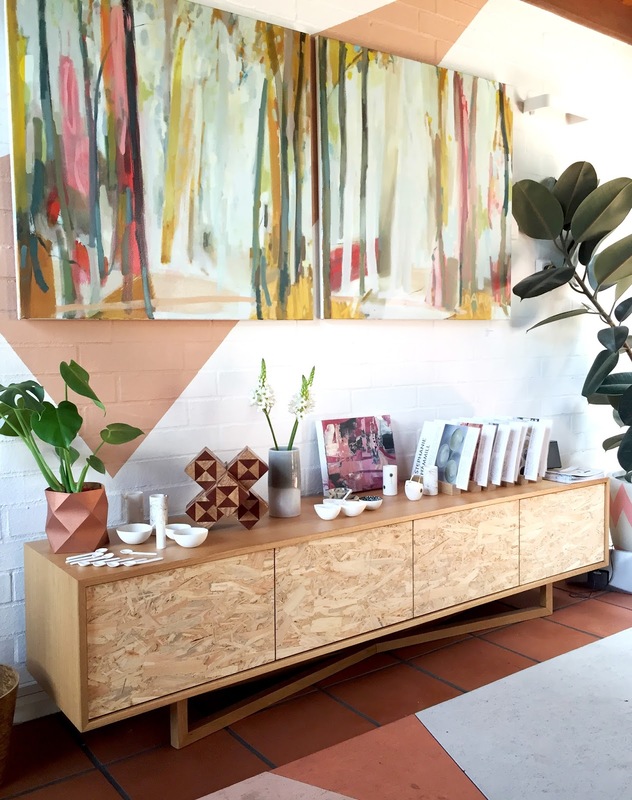 Raw Edge Furniture » Artist Open House Freo! 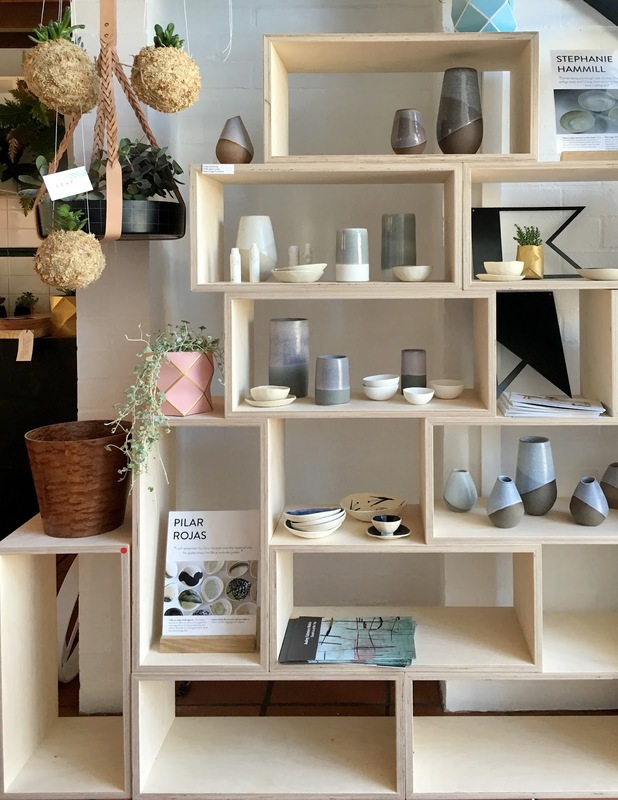 16 Nov Artist Open House Freo! 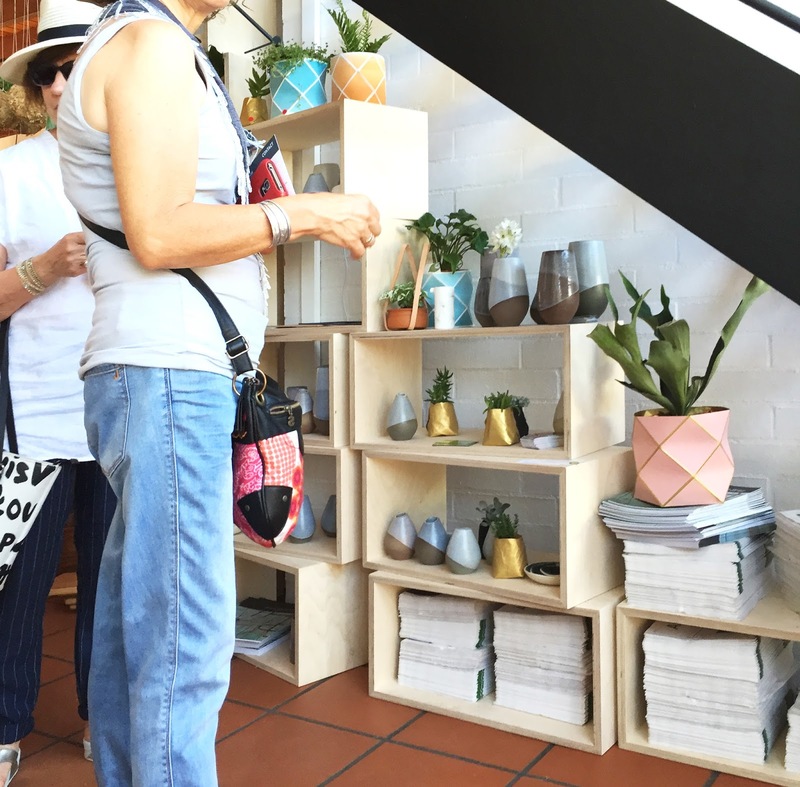 What a great turn out for AOH 2015! 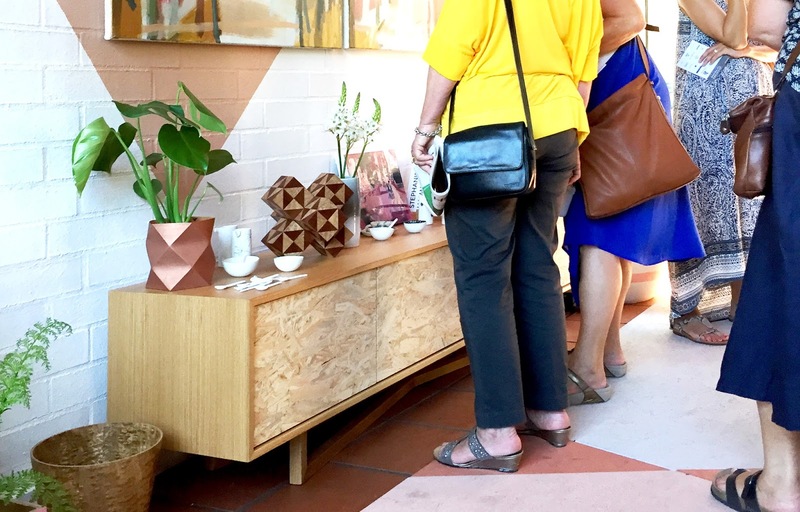 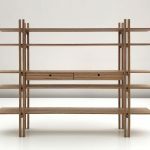 If you aren’t already familiar with AOH – it is an event where art is shown and sold in private homes in Fremantle, WA. 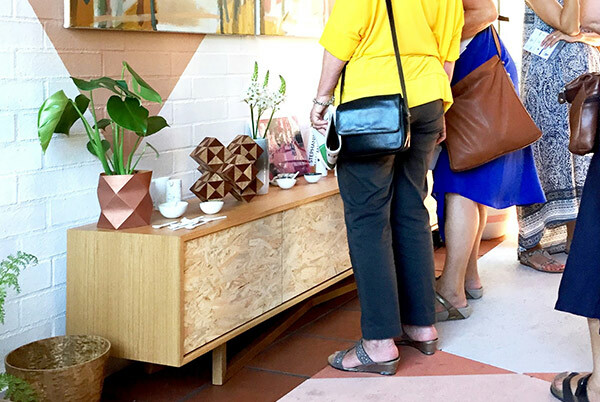 We loved being a part of the event and the collective of WA artisans by having our furniture in the fully ‘styled house’ where everything was for purchase – created by stylist Jo Carmichael. 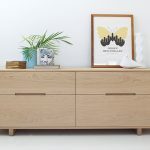 In the house we had; Yui Cabinet, Elk Bench Seat, Ply Boxes, Long Board Servers (serving boards and our Big Chopper (chopping board). 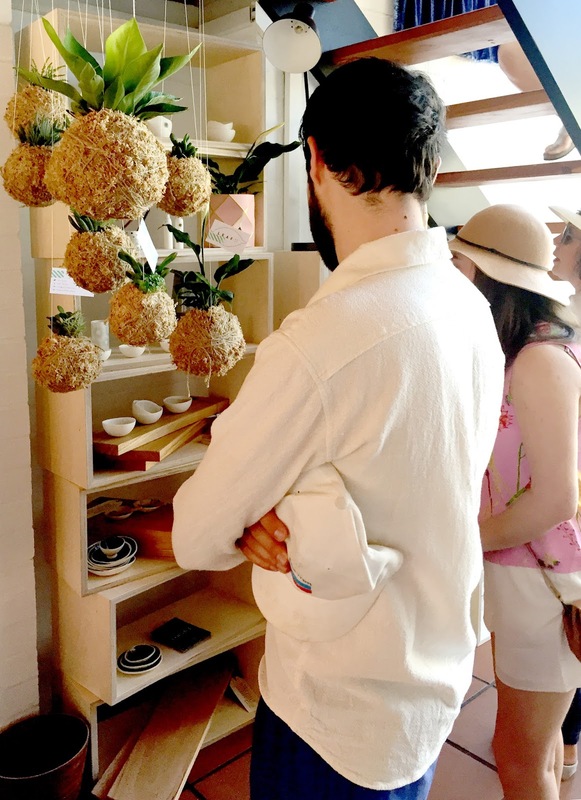 Some of the artists seen displaying work include ceramists Stephane Hammil and Pilar Rojas and the hanging baskets and pot plant holders by Leaf.